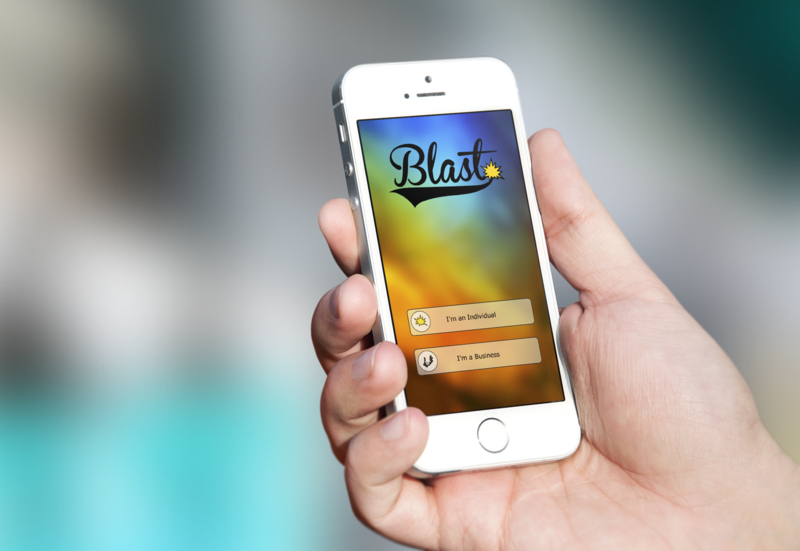 Brands use Blast Buzz to get matched with people to co-create and amplify buzz about their products and services on Facebook and Twitter. It takes 1-2 minutes to set up a campaign for buzz-creation. After reviewing people’s posts or tweet offers for their campaign, brands choose to approve or reject the offers. Once posts have been approved, brands reward people with Buzz Coins based on the number of engagements they have achieved with the post. With Buzz Coins, users can redeem for products, services, or cash. 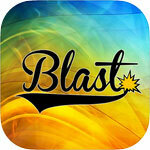 Type: New VC-backed company Blast Innovations, Inc., founding members include all of Vitapoly’s team. A scalable multi-user conversion of an existing single user application to an HTML5 web application. The application, Cisco Packet Tracer (500K+ lines of code) is a network simulator where users can visually connect Cisco devices with end devices and watch as packets traverse the network. We re-architected the application as a cloud-based application running headless on a server with the GUI as an HTML5 application. We also added predictive server scaling on the backend through the use of Microsoft Azure virtual machines. The new architecture also supported multiple simultaneous users working on the same instance of the application. 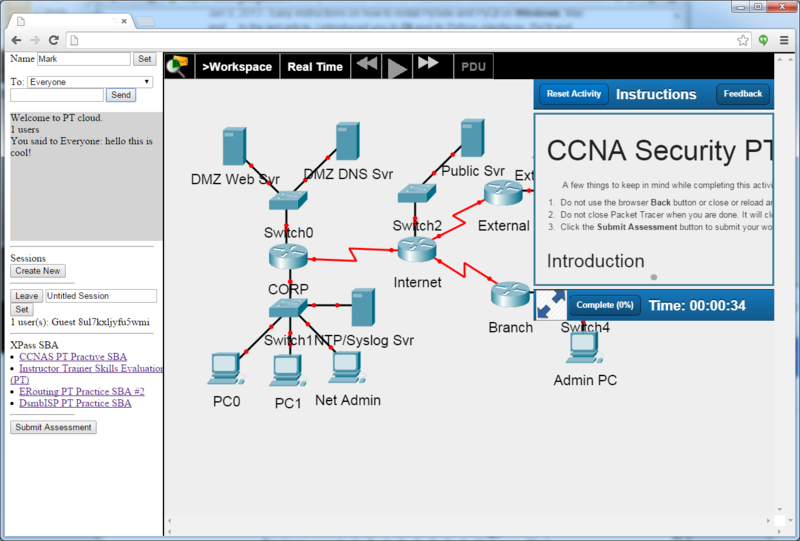 A simulation of Internet-connected devices to interact with the environment in Cisco Packet Tracer Networking Simulator. We created an IoE device that allows plug-and-play modules for sensors (motion, smoke, temperature, rain, wind, etc) and actuators (lamp, fan, thermostat, sprinkler, garage door, etc). We designed and implemented a new protocol for communication between IoE devices and server. Created a virtual environment in Unity3D to communicate with Packet Tracer’s virtual IoE devices. The Unity3D side of IoE devices are prefabs that can be used in different game environments, but for the prototype, we created a smart house. The programming and states of the virtual IoE devices are governed by Packet Tracer. Through an eventbased API, those states update the 3D environment in Unity3D. Change of states from Unity3D to Packet Tracer is also supported. 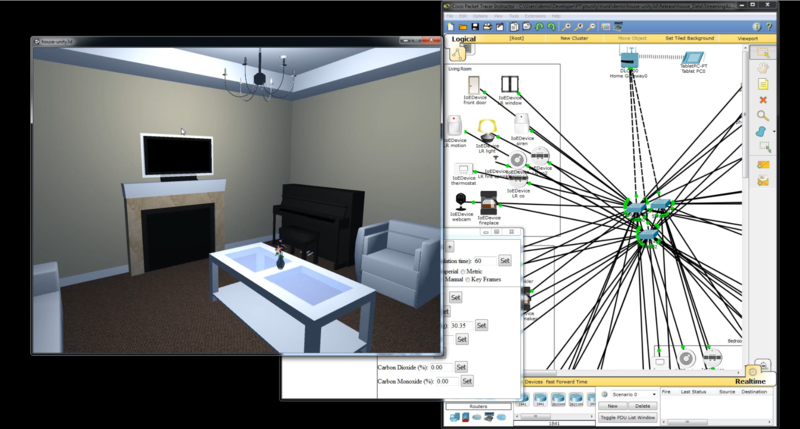 For example, a fire can start in the Unity3D living room triggering the smoke detector to update Packet Tracer of its smoke level, then Packet Tracer’s IoE rules will kick in, which will tell its virtual sprinklers to turn on and put out the fire -- all of which is visually represented in the 3D environment. The only Unity3D plugin that allows developers to access the raw iOS API. Unity3D is a crossplatform 3D game engine. Our plugin opens entire frameworks from the native iOS SDK. It was featured and was on the top 10 overall list of the Unity3D Asset Store. Game companies including Ubisoft and Disney Interactive use our middleware along with ~20,000 monthly active developers. Type: Developed In House, Vitapoly Inc.
Our native extensions for Flash/AIR open up all of the APIs in the low level native frameworks. We want to level the playing field between native developers and Flash/AIR developers. We want to make it so that anything you can do with the native frameworks you can do in AIR — that’s what we are striving for. For example, when you look at our GameKit extension, you will find that while it has an easy to use high level API, it also contains all the iOS API spanning 59 classes and 569 APIs. That’s the difference with our native extensions. 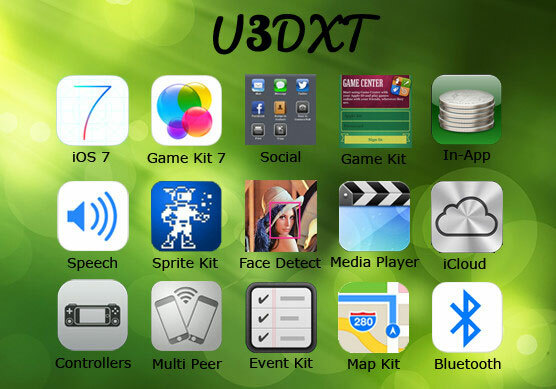 We have published over 20 games and apps to the iOS and Android stores, with millions of downloads. Joining forces with two people outside of Vitapoly, Stacie Hibino and Powen Ko, we built a robot that senses your mind or speech to control the arm movements and grasp/release motions. 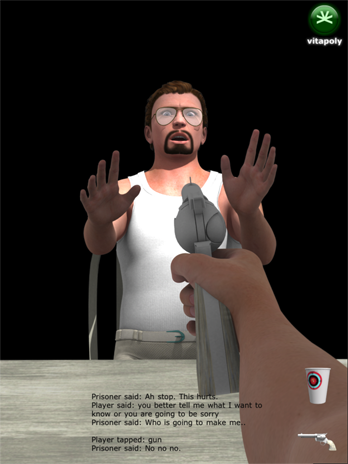 A Unity3D simulation was also built for the mobile platform. We created a game to help persons with mental or visual disabilities learn how to count and identify real money. The user interface is a store front that allows users to use touch or speech to add items to the cart. When the user goes to pay, they hold up real cash to the device’s camera one bill at a time. Our app will recognize the payment using the OpenCV library that we previously trained. Feedback is provided to the user during the whole process in the UI as well as text to speech. Adobe AIR, as with many cross platform higher level languages, have many of the native APIs are inaccessible. So, we wrote bridges to access many of the native device’s APIs and used them in our game. They include, face detection for pseudo head tracking and speech recognition tied to an online chatbot (A.L.I.C.E) with certain keywords triggering advancement in the interrogation game. We were told that we won the Best Technology Award “by a landslide”.